Nature is a social category. 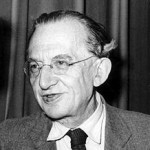 Gyorgy Lukacs was a Hungarian Marxist philosopher, aesthetician, literary historian, and critic. He was one of the founders of Western Marxism, an interpretive tradition that departed from the Marxist ideological orthodoxy of the USSR. He developed the theory of reification, and contributed to Marxist theory with developments of Karl Marx's theory of class consciousness.